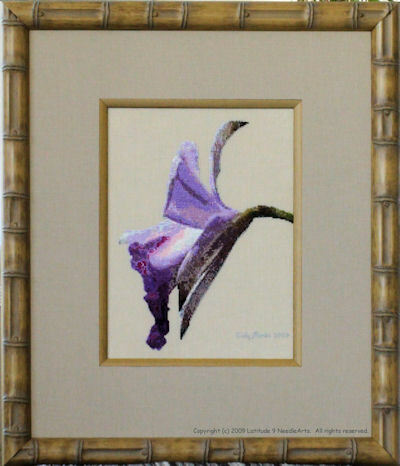 Bamboo Orchid Pattern (L9-004) - $12.99 : Latitude 9 NeedleArts, The Beauty of Costa Rica at Your Fingertips! This beauty was found growing on the side of the road! That's Costa Rica for you. The model was stitched on 36-count Edinburgh linen (Summer Khaki), using 68 DMC colors. The stitch count for the pattern is 138W x 172L, resulting in a finished design size of 7 3/4" x 9 1/2" for the 36-count fabric.